With a low inherent noise of only 6 dBA and transformerless output circuitry, the RØDE NT1000 enables excellent vocal and instrumental recording. 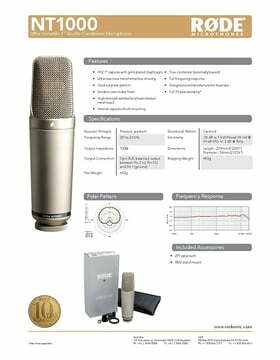 The NT1000 has also found many users who call it the ultimate microphone for overheads as well as for miking concert grand pianos. 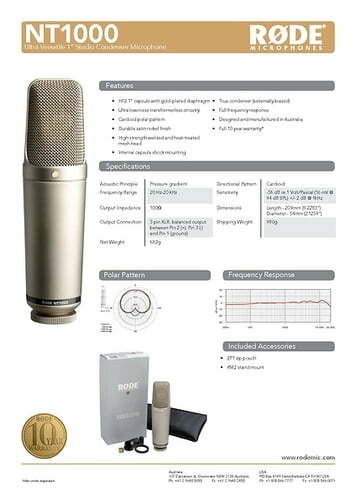 The 1" HF2 capsule, developed by RØDE and manufactured in Australia, is elastically mounted and with a dynamic range of 134 dB, a maximum sound pressure level of 140 dBA, and a frequency range of 20 Hz - 20 kHz. Mid range condenser that can do it all. 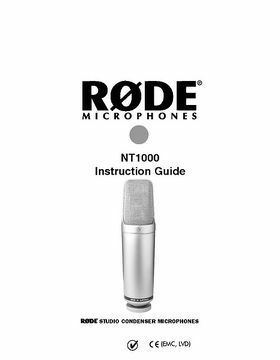 This Rode NT1000 is kind of a mid-level condenser, however, it's build quality and features offers really good equity for the money. 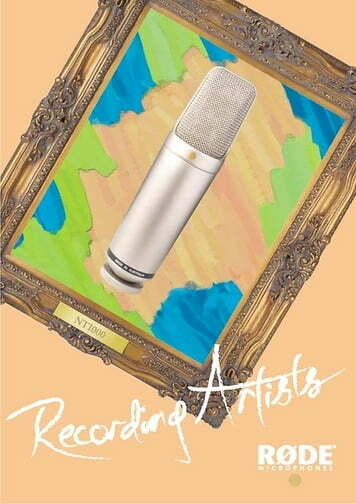 It's good for an all around recording of anything you can think of. It's really sensitive on picking up sounds and the audio is really clear and crips. It gets the job done and it's a really good mic overall! I recommend it! This is an excellent microphone. Rode mics are either great or okay, but this one is built really well and sounds very flattering on both male and female vocals. 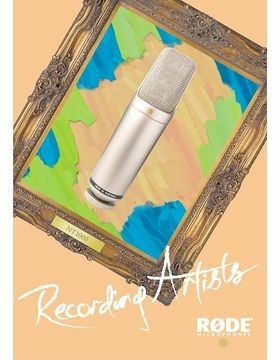 Great voice mic.  ID: 158993 © 1996–2019 Thomann GmbH Thomann loves you, because you rock!